Hey lovelies today I'm having a bad day and things have kept going wrong, but on a positive note I bought a few lovely bits in the lush sale and will be having a relaxing bath using my new products. As you probably know the lush sale starts on boxing day I however couldn't order anything as the website was crashing over and over but I did have a bit more luck the following day although I had less choice I still picked up a few bits. Here is what I got, The little snow fairy gift set containing a small bottle of snow fairy shower gel and some fun in the same scent which I have never tried so look forward to giving that a whirl. 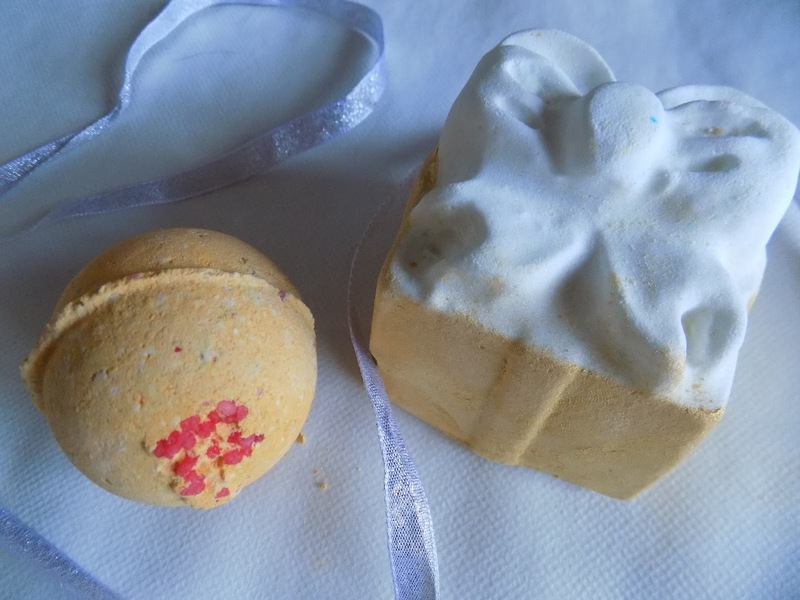 I also picked up a couple of bath bombs Cinders and Golden Wonder both of which smell amazing and Golden Wonder is covered in gold glitter, which gets on everything but I'm excited to see what its like in the bath and whether I get out looking glittery lol. I hope your having a better weekend then me, let me know if you picked up anything in the lush sale. Sorry to hear you have had a bad day! I hpoe your weekend improved! Did the Lush stuff help cheer you up?